Notes: Designed by Bob Clouser. Bob guides for smallmouth Bass in Pennsylvannia on the Susquehanna River. 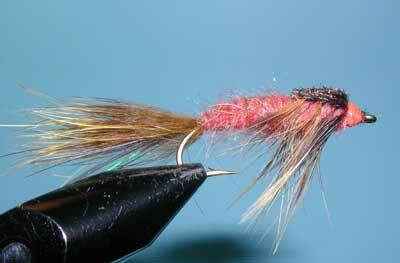 He has designed a number of reknown flies, perhaps best known for his Clouser Minnows. The Swimming Nymph series are usually tied in three colors: Rusty Brown, Gold, and Blonde. Using Rabbit Fur for the tail gives this fly some extra durability over similar flies utilizing marabou.